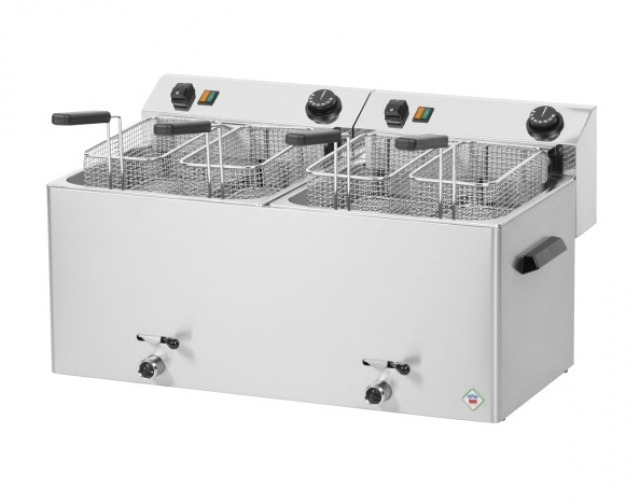 2 x 10-11 liter tank, 4 pcs baskets, basket size: 130x235x100 mm. Cold zone type, temperature control between 50 -190°C. Special stainless steel heating elements, ceramic thermostat (working, safety), drain outlet 3/4".